Edinburgh, Scotland,UK. 24 March 2018. 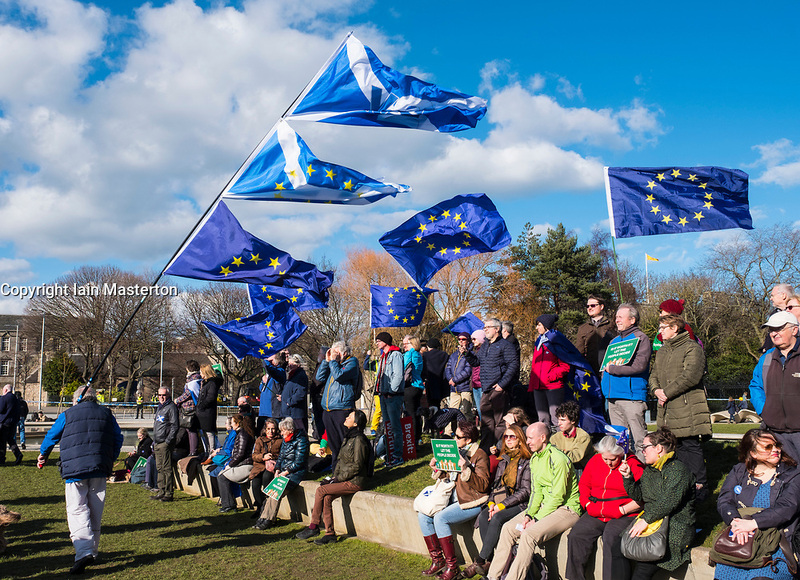 March for Europe: Democracy on Brexit march and demonstration outside the Scottish Parliament at Holyrood today. Large crowd of pro-Europe anti-Brexit protestors met to listen to speeches.